This past Sunday I ran my first race of 2017, the Half at the Hamptons on the New Hampshire Seacoast. With very bright clear skies, temperatures of about 15 F/-9 C at the start( but it did warm up) and a very stiff breeze taking the "Feel" down to -18F it was a perfect opportunity to put winter 2017 gear to the test. My race performance was so so in the tough conditions a 1:43.28 but I was totally comfortable all the way even when the expected tailwind for the last 4 miles on the way back along the coast "miraculously" shifted to a headwind! I can't wait to age up into a new decade age category next month. 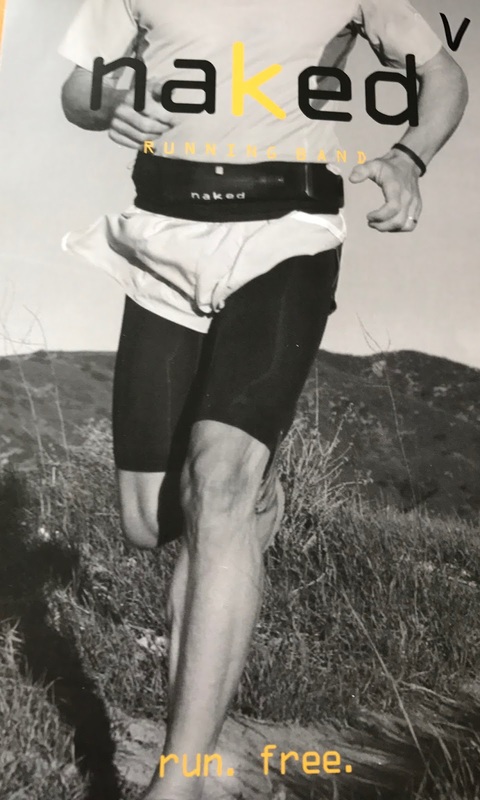 While I was 15 in my AG for the official 50-59 I would have finished 2nd in 55-59 and 3d in 60-69!To many "young" 50 year olds to duke it out with! Everything worked to perfection except speed in the legs, my Whoop band (article here) warning me that morning that my recovery status was on the low side and it showed at race time. I wore the Julbo Aerolite in the race yesterday. 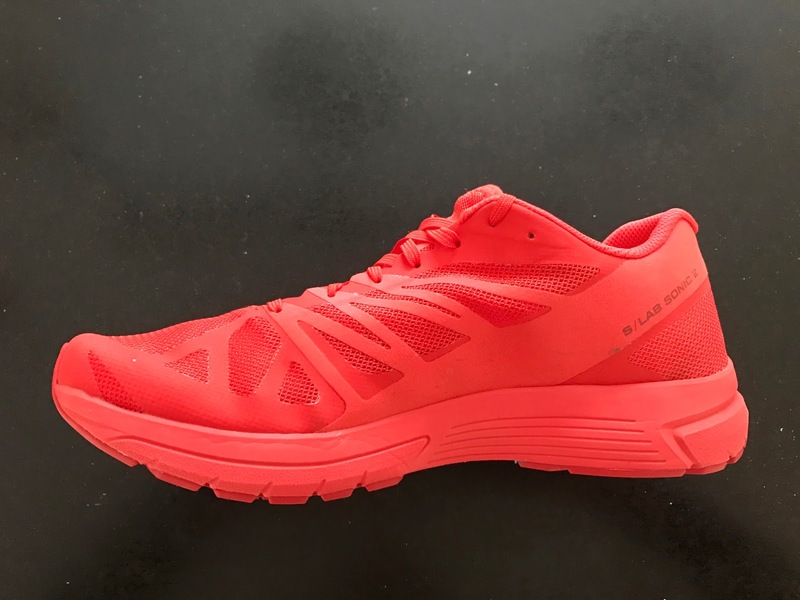 I have been running with them all winter and have been very impressed with their light weight, secure fit and any light performance including in cold. Following up on our 2016 Aero Zebra Light and Zephyr Zebra photochromic sunglasses glasses which Jeff Valliere and I found (RTR review here) a were incredibly versatile in changing light conditions and uniquely for photochromic lenses which didn't over darken in cold, Julbo ups the performance running sunglasses game yet further with the Aerolite. Julbo, a small French company focused on mountain and water performance sunglasses and ski goggles has, in my view, the finest most functional running and mountain sunglasses on the market with always outstanding optics. Well, Julbo has significantly improved last year Aero with the Aerolite Zebra Light Flash Fire lens model they sent this winter to test. Far lighter overall and frameless over the top, the marketing line is "Designed to be Forgotten" and is spot on. 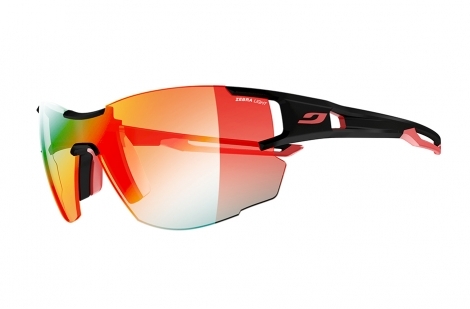 With thinner lenses than the Aero, their low light versatility seems to be improved in cold conditions. Non photochromic versions of the Aerolite are also available. Zebra Light lenses are called out with a photochromic (changing) visible light performance of 1-3. This means that the lens will transition from transmitting 80% of visible light in its clear "1" state to 16% when it is in its dark "3" state, and uniquely doing this in about 25 seconds regardless of temperature. The unique part is that other photochromic lenses stay dark in cold and really only transition as they are warmed. Julbo's Zebra Light transition far better in cold between light conditions than for example Rudy Project which get dark and stay dark in cold, so dark that I often have to remove them in moderate light in winter. Not the case with the Julbo. 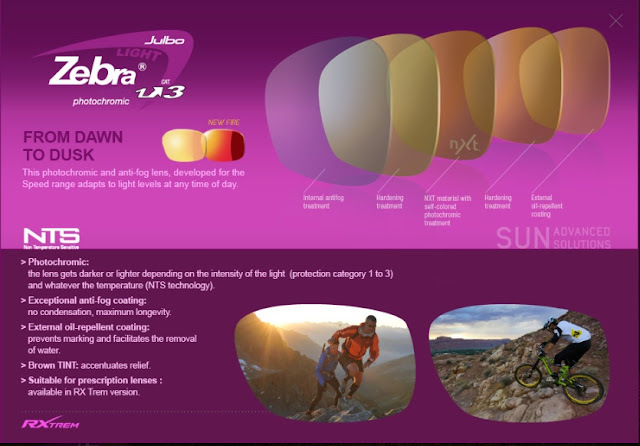 For a description of Julbo's Zebra technology see here. Whereas with the original Aerolite as winter light faded on my afternoon runs to darkness I had to take them off, I have never had to with the Aerolite. I think the thinner lenses just don't get as dark or are easier to see through but still provide all the protection even while thinner. Even with them on I have no problems seeing the Garmin Fenix 5X in bright sunlight. The Red Flash coating is functional, increasing contrast and reducing glare and reflections from what I see. As far as fit, and I do a strange thing putting them over my wire frame glasses with the plastic corners resting on the edges, I have never had any slipping or adjustments even in the race yesterday, something that would not have been the case with the original Aerolite or my Rudy Projects. 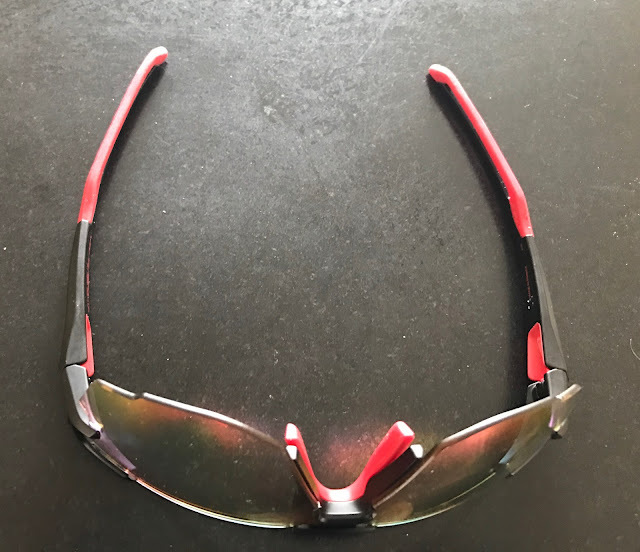 In my opinion you will not find a finer running sunglass unless your running is at high altitude in constantly bright conditions and on snow in which case you might want to consider one of Julbo's 2-4 lens models such as in the original Aero. While we are on visibility in bright sunlight, and much more to come on the Fenix 5X, the high resolution screen of the 5X (21% more pixels than the Fenix 3) was very easy to see in bright race day sunlight, far easier than the Fenix 3 HR. I did not take pictures of the screen in action during the race but here is a view in bright sunlight from another day. Oh and did I say... the Fenix 5X has on board maps, pick a distance and it will plan a mapped route for you As with other Fenix 5 there are improvements to the interface which make this do it all watch with hundreds of features commendably easy to navigate. When compared to the excellent Fenix 3 HR, the response to button presses is noticeably faster. Everything instantly snaps into view. While the heaviest Fenix 5 and heavier than the Fenix 3 HR by 12 grams, the flatter HR module on the back of the Fenix 5 makes it more comfortable to wear with a better seal to the wrist for heart rate accuracy. With the exception of one brief spike about a half mile into the race the HR accuracy and consistency was excellent, especially so given the cold, windy conditions which often wreck havoc with wrist based heart rate sensing in the early miles. As always I shifted the watch to my dominant right wrist for the race. My left non dominant and thinner wrist often leads to inconsistent readings for wrist heart rate monitors for me, especially in cold with less blood flow to the extremities. Distance accuracy was fine measuring a bit more than 0.1 miles long likely due to differences between course measurement tangents and requirements to run on a specific side of the road in certain places. While I had no real need to wear the Naked Running Band due to all the pockets elsewhere, I had to test this ingenious, well made simple run carry system. I put my iPhone 7 in the back pocket and gels in the front. Totally secure yet easy to reach, especially the gels on the go. Absolutely zero bounce or motion. Just didn't notice it was there. The fit may be a bit snug for steep climbing over the belly, in our full review soon we will test this. The stretch mesh pockets have firmer yet still stretchy top lips making the four pockets's opening easy to feel and then access and also locking everything in. I put my race number on the handy cords with spring clips. You can also roll up a jacket and put it under the silicone backed elastic cords at the rear. It should be equally versatile for road, trail, or tri use. It will be a great carry system for shorter trail runs, runs in the heat or cold, and marathons. A new higher capacity trail model is on the way which Road Trail Run will also test. Given the conditions this was an ideal time to select and test some of the best of 2017. I wore a Compressport 3D Thermal base layer under the adidas Terrex Agravic Alpha Hoodie. On the legs I had the On Running Pants and Compressport US compression sleeves. I also wore a pair of Compressport 3D Thermal gloves and a Swix race hat which I took off at times. Perfectly dialed for the conditions: never cold, never over heated with minimal moisture absorbed. I only occasionally zipped up and down the jacket part way. The combination of the whisper thin yet light Compressport 3D and also whisper light and lightly insulated but non moisture absorbing Alpha hoodie and the incredible On Running Pants, by far the best run pants I have ever used with their very breathable wind protection made for the ideal combination. At the finish, with water frozen in the bottles they handed out, and the wind blowing, I even hung out for a while and wasn't chilled! I said in my full review of the S/Lab Sonic 2 that I planned to race halves in them and at the first opportunity I did. They did not disappoint! Firm but not harsh or jarring due to the Vibe tibial vibration attenuation technology, responsive, and with great stability up front due to the excellent and extensive non slip Premium Wet Grip Contagrip outsole they are a worthy successor to my adidas adizero Boost 3 and Boston 6 for halves. I did conclude that I, and likely many others, should try a half size down from true to size, and this despite my wearing winter weight run socks. I will also next run try a lace lock as, just back of the lace up area it is roomier/wider fitting than most race shoes. Loco Running races in New England, and there is also a lightening fast fall race, the Rock Fest Half, on basically the same course, always feature great organization and plenty of beer! 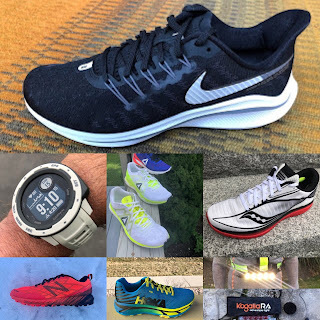 The products in this article, with the exception of the ON Running Pants, were provided at no charge The opinions herein are entirely the author's. Click Here RTR's Latest Running Shoe and Gear Reviews, over 65 in 2016 and 60in 2017! Love the real-world reviews Sam. Keep them coming! Question for you about the Aerolites. Any idea if they use the same fit and nosepiece as the Venturi? I wanted to love the Venturi but it just never stayed on my face despite every type of adjustment I made to the nosepiece. The only thing that 'worked' was to invert the pliable nosepiece by 45 degrees and create a vice type of shape. Not only was this uncomfortable after a few minutes but it kept the glasses far off my face. The one pair of glasses I've searched long and hard for and love today are the Oakley EVZero (prizm trail or prizm road lenses). Super lightweight with the best non-slipping nosepiece I've ever tried. Great coverage too with multiple lense size options. Hi Kelly, Thanks for reading and writing. 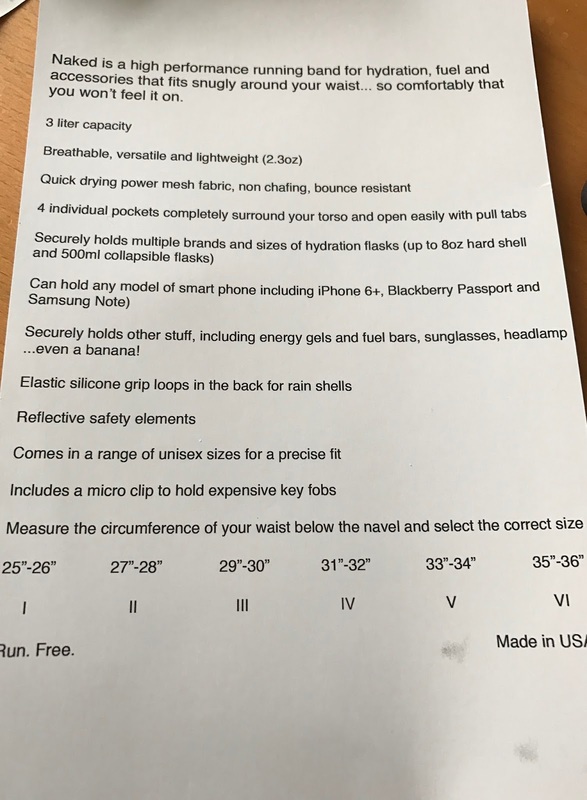 To date the Fenix 5X has been flawless in all respects. I have not yet seen actual topo maps on the watch the maps being base road maps so I am finding out where they may be or maybe they are not yet up. The course following stuff is revolutionary. Stand anywhere pick a distance and it will suggest multiple routes. Once underway and the mapping and course screens sit within the run activity screens it will give you turn by turn directions, distance to next turn, elevation profile and what you have climbed and neatest of all ETA in distance, time, and time of day to complete the course. You can import GPX files from Strava or any other GPX to create a course so imagine its utility for races...or trail running. I am working on a review which will have video and pictures illustrating Courses on the go during a run. As far as fit and feel it is a big watch even bigger than the Fenix 3 HR but I am finding it far more comfortable I think from a combination of the more flush HR sensor, lighter strap, and especially more streamlined strap connection to the watch body. 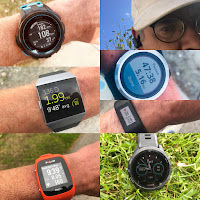 If you are thinking of getting one I hope you will consider purchasing through the Amazon links to Garmin at the bottom of the article as purchases there will help support RoadTrailRun and are much appreciated. Sam, Editor.